Design experts John Colaneri and Anthony Carrino provide life-changing surprises for drummers Timothy, Malik, and the entire Baltimore community. From epic stages to emotional reveals, you won’t believe the incredible performances and transformations! 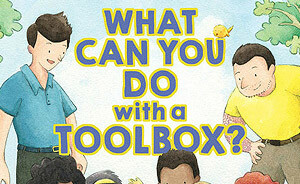 Using simple language, Anthony and I introduce kids to tools and how to use them. As our construction project grows, so does the number of helpers. Learn about our new book! Follow The Cousins on Facebook to keep up-to-date with our latest adventures – from events personal life to new projects on the road. HOME with The Cousins is covering what's under your roof, and out in the yard. We'll be sharing our knowledge to help you save time, money, and heartache with own project.